BOSCH WASHING MACHINE DOOR LATCH. Genuine replacement door latch for your Bosch washing machine. Suitable to fit the following models. WAA12160II/01, WAA12160II/04, WAA12160II/05, WAA12160II/07, WAA12160II/09, WAA12160II/11, WAA12160TR/01, WAA12160TR/03, WAA12160TR/04, WAA12160TR/05, WAA12160TR/07, WAA12160TR/09, WAA12160TR/11, WAA12161BC/11, WAA12161BC/24, WAA12161BY/01, WAA12161BY/04, WAA12161BY/05, WAA12161BY/07, WAA12161BY/09, WAA12161BY/11, WAA12161II/09, WAA12161II/11, WAA12161II/18, WAA12161II/24, WAA12161II/25, WAA12161II/32, WAA12161TR/11, WAA12161TR/18, WAA12161TR/24, WAA12161TR/32, WAA12161TR/33, WAA12162BY/01, WAA12162BY/09, WAA12162BY/11, WAA12162BY/13, WAA12162BY/18, WAA12162BY/24, WAA12163BY/01, WAA12163BY/05, WAA12163BY/08, WAA12163BY/09, WAA12165ME/01, WAA12165ME/02, WAA12165ME/04, WAA12165ME/05, WAA12165ME/07, WAA12165ME/08, WAA12165ME/09, WAA12165ME/11, WAA12165ME/12, WAA12165ME/24, WAA12165SG/01, WAA12165SG/04, WAA12165SG/07, WAA12165SG/08, WAA12165SG/09, WAA12165SG/11, WAA12165SG/15, WAA12165SG/24, WAA12166SG/01, WAA12166SG/05, WAA12166SG/08, WAA12166SG/09, WAA16110TR/01, WAA16110TR/03, WAA16110TR/04, WAA16110TR/05, WAA16110TR/09, WAA16110TR/11, WAA16110TR/16, WAA16111TR/11, WAA16111TR/16, WAA16111TR/21, WAA16111TR/24, WAA16111TR/32, WAA16111TR/33, WAA16160II/01, WAA16160II/04, WAA16160II/05, WAA16160II/09, WAA16160II/11, WAA16160II/16, WAA16160TR/01, WAA16160TR/03, WAA16160TR/04, WAA16160TR/05, WAA16160TR/09, WAA16160TR/11, WAA16160TR/16, WAA16161BC/11, WAA16161BC/16, WAA16161BC/21, WAA16161BC/24, WAA16161BC/32, WAA16161BC/33, WAA16161BY/01, WAA16161BY/04, WAA16161BY/05, WAA16161BY/09, WAA16161BY/11, WAA16161BY/16, WAA16161II/11, WAA16161II/16, WAA16161II/21, WAA16161II/24, WAA16161OE/01, WAA16161OE/04, WAA16161OE/05, WAA16161OE/09, WAA16161OE/11, WAA16161OE/16, WAA16161PL/01, WAA16161PL/04, WAA16161PL/05, WAA16161PL/09, WAA16161PL/11, WAA16161PL/16, WAA16161PL/17, WAA16161PL/18, WAA16161PL/21, WAA16161PL/24, WAA16161TR/11, WAA16161TR/16, WAA16161TR/21, WAA16161TR/24, WAA16161TR/32, WAA16161TR/33, WAA16162BY/01, WAA16162BY/09, WAA16162BY/11, WAA16162BY/13, WAA16162BY/16, WAA16162BY/18, WAA16162BY/21, WAA16162BY/24, WAA16162II/25, WAA16162II/32, WAA16162OE/11, WAA16162OE/16, WAA16162OE/21, WAA16163BY/01, WAA16163BY/05, WAA16163BY/08, WAA16163BY/09, WAA16163PL/01, WAA16163PL/05, WAA16163PL/08, WAA16163PL/09, WAA16165ME/01, WAA16165ME/04, WAA16165ME/05, WAA16165ME/09, WAA16165ME/11, WAA16165ME/12, WAA16165ME/16, WAA16165ME/21, WAA16165ME/24, WAA16166ME/01, WAA16166ME/05, WAA16166ME/07, WAA16166ME/08, WAA16166ME/09, WAA16170CE/01, WAA16170CE/04, WAA16170CE/05, WAA16170CE/09, WAA16170CE/11, WAA16170CE/16, WAA16170CE/17, WAA16170CE/21, WAA16170CE/24, WAA16171CE/24, WAA16171CE/32, WAA16171CE/33, WAA16260IT/01, WAA16260IT/05, WAA16260IT/08, WAA16260IT/10, WAA16260OE/01, WAA16260OE/05, WAA16260OE/08, WAA16260OE/10, WAA16260PL/01, WAA16260PL/04, WAA16260PL/05, WAA16260PL/08, WAA16261OE/01, WAA16261OE/09, WAA16261OE/11, WAA16261OE/13, WAA16261OE/14, WAA16261OE/16, WAA16261OE/21, WAA20110AR/01, WAA20110AR/16, WAA20110AR/17, WAA20110AR/24, WAA20110AR/31, WAA20112EE/11, WAA20112EE/16, WAA20112EE/24, WAA20113EE/24, WAA20113EE/32, WAA20113EE/33, WAA2011GTR/01, WAA2011GTR/03, WAA2011GTR/04, WAA2011GTR/05, WAA2011GTR/09, WAA2011GTR/11, WAA2011GTR/16, WAA2011STR/11, WAA2011STR/16, WAA2011STR/24, WAA2011STR/32, WAA2011STR/33, WAA20160GB/01, WAA20160GB/04, WAA20160II/01, WAA20160II/04, WAA20160II/05, WAA20160II/09, WAA20160II/11, WAA20160II/16, WAA20160TR/01, WAA20160TR/03, WAA20160TR/04, WAA20160TR/05, WAA20160TR/09, WAA20160TR/11, WAA20160TR/16, WAA20161BY/01, WAA20161BY/04, WAA20161BY/05, WAA20161BY/09, WAA20161BY/11, WAA20161BY/16, WAA20161II/09, WAA20161II/11, WAA20161II/16, WAA20161II/24, WAA20161II/25, WAA20161OE/01, WAA20161OE/04, WAA20161OE/05, WAA20161OE/09, WAA20161OE/11, WAA20161OE/16, WAA20161PL/01, WAA20161PL/04, WAA20161PL/05, WAA20161PL/09, WAA20161PL/11, WAA20161PL/16, WAA20161SN/01, WAA20161SN/06, WAA20161SN/09, WAA20161SN/11, WAA20161SN/12, WAA20161SN/13, WAA20161SN/16, WAA20161TR/11, WAA20161TR/16, WAA20161TR/24, WAA20161TR/32, WAA20161TR/33, WAA20162BY/01, WAA20162BY/09, WAA20162BY/11, WAA20162BY/13, WAA20162BY/16, WAA20162BY/18, WAA20162BY/24, WAA20162II/25, WAA20162II/32, WAA20162II/33, WAA20162OE/01, WAA20162OE/11, WAA20162OE/16, WAA20162PL/11, WAA20162PL/16, WAA20162PL/18, WAA20162PL/24, WAA20162SN/13, WAA20162SN/24, WAA20163PL/01, WAA20163PL/05, WAA20163PL/08, WAA20163PL/09, WAA20163SN/01, WAA20163SN/05, WAA20163SN/08, WAA20163SN/09, WAA20165GC/05, WAA20165GC/08, WAA20165GC/09, WAA20165ME/01, WAA20165ME/04, WAA20165ME/05, WAA20165ME/09, WAA20165ME/11, WAA20165ME/12, WAA20165ME/16, WAA20165ME/24, WAA20166ME/11, WAA20166ME/16, WAA20166ME/24, WAA20167ME/01, WAA20167ME/05, WAA20167ME/08, WAA20167ME/09, WAA2016KBY/01, WAA2016KBY/05, WAA2016KBY/08, WAA2016KBY/09, WAA2016SBC/11, WAA2016SBC/16, WAA2016SBC/18, WAA2016SBC/24, WAA20170CE/01, WAA20170CE/04, WAA20170CE/05, WAA20170CE/09, WAA20170CE/16, WAA20170CE/17, WAA20170CE/18, WAA20170CE/24, WAA20171CE/24, WAA20171CE/32, WAA20171CE/33, WAA20181CE/11, WAA20181CE/13, WAA20181CE/24, WAA20182CE/24, WAA20182CE/32, WAA20182CE/33, WAA20260/01, WAA20260/04, WAA20260/05, WAA20260/08, WAA20260/10, WAA20260BY/01, WAA20260BY/05, WAA20260BY/08, WAA20260BY/10, WAA20260EE/01, WAA20260EE/05, WAA20260EE/08, WAA20260EE/10, WAA20260OE/01, WAA20260OE/05, WAA20260OE/08, WAA20260OE/10, WAA20260PL/01, WAA20260PL/04, WAA20260PL/05, WAA20260PL/08, WAA20260PL/10, WAA20261BY/01, WAA20261BY/09, WAA20261BY/11, WAA20261BY/13, WAA20261BY/14, WAA20261BY/16, WAA20261BY/24, WAA20261OE/01, WAA20261OE/09, WAA20261OE/11, WAA20261OE/14, WAA20261OE/16, WAA20261OE/18, WAA20261OE/24, WAA20261PL/01, WAA20261PL/09, WAA20261PL/11, WAA20261PL/13, WAA20261PL/14, WAA20261PL/16, WAA20261PL/24, WAA20262BY/01, WAA20262BY/08, WAA20262BY/09, WAA20262PL/01, WAA20262PL/08, WAA20262PL/09, WAA2026JPL/01, WAA2026JPL/08, WAA2026JPL/10, WAA2026SBY/01, WAA2026SBY/05, WAA2026SBY/08, WAA2026SBY/10, WAA20270CE/01, WAA20270CE/08, WAA20270CE/10, WAA20271CE/14, WAA20271CE/16, WAA20271CE/18, WAA20271CE/24, WAA20272CE/01, WAA20272CE/08, WAA20272CE/09, WAA2027JPL/01, WAA2027JPL/09, WAA2027JPL/11, WAA2027JPL/13, WAA2027JPL/14, WAA2027JPL/16, WAA2027JPL/24, WAA2027SBY/01, WAA2027SBY/09, WAA2027SBY/11, WAA2027SBY/13, WAA2027SBY/14, WAA2027SBY/16, WAA2027SBY/18, WAA2027SBY/24, WAA2028JPL/01, WAA2028JPL/08, WAA2028JPL/09, WAA2028SBY/01, WAA2028SBY/08, WAA2028SBY/09, WAA24120/01, WAA24120/04, WAA24120/05, WAA24120BE/01, WAA24120BE/04, WAA24120BE/05, WAA24120BE/09, WAA24120BE/11, WAA24120BE/12, WAA24160FN/01, WAA24160FN/04, WAA24160FN/05, WAA24160FN/09, WAA24160FN/11, WAA24160GB/01, WAA24160GB/04, WAA24161/01, WAA24161/04, WAA24161/05, WAA24161/09, WAA24161/11, WAA24161BY/01, WAA24161BY/04, WAA24161BY/05, WAA24161BY/09, WAA24161BY/11, WAA24161FN/11, WAA24161FN/13, WAA24161FN/20, WAA24161FN/24, WAA24161FN/32, WAA24161FN/33, WAA24161GB/01, WAA24161GB/04, WAA24161GB/05, WAA24161GB/08, WAA24161GB/10, WAA24161PL/01, WAA24161PL/04, WAA24161PL/05, WAA24161PL/09, WAA24161PL/11, WAA24161SN/01, WAA24161SN/06, WAA24161SN/09, WAA24161SN/11, WAA24161SN/12, WAA24161SN/13, WAA24162/01, WAA24162/09, WAA24162/11, WAA24162/13, WAA24162/20, WAA24162/24, WAA24162/32, WAA24162/33, WAA24162BY/01, WAA24162BY/09, WAA24162BY/11, WAA24162BY/13, WAA24162BY/20, WAA24162BY/24, WAA24162GB/11, WAA24162GB/20, WAA24162PL/11, WAA24162PL/20, WAA16161II/25, WAA20162OE/09, WAA20170CE/11, WAA20261OE/13, WAA20110EE/01, WAA20110EE/08, WAA20110EE/10, WAA20160/01, WAA20160/04, WAA20160BY/01, WAA20160BY/04, WAA20160IT/01, WAA20160IT/04, WAA20160ME/01, WAA20160ME/04, WAA20160ME/08, WAA20160ME/10, WAA20160OE/01, WAA20160OE/04, WAA20160SN/01, WAA20160SN/02, WAA20160SN/03, WAA20160SN/04, WAA20160SN/08, WAA20160SN/10, WAA20110EE/04, WAA22170FF/01, WAA22170FF/04, WAA22170FF/08, WAA22170FF/10, WAA20170FF/01, WAA20170FF/04, WAA20170FF/08, WAA20170FF/10, WAA24120FG/01, WAA24120FG/04, WAA24160/01, WAA24160/04, WAA24160BY/01, WAA24160BY/04, WAA24160FG/01, WAA24160FG/04, WAA24160NL/01, WAA24160NL/04, WAA24160OE/01, WAA24160OE/04, WAA24160SN/01, WAA24160SN/02, WAA24160SN/03, WAA24160SN/04, WAA24160SN/08, WAA24160SN/10, WAA12160BY/01, WAA12160BY/04, WAA12160IT/01, WAA12160IT/04, WAA12160ME/01, WAA12160ME/04, WAA12160ME/08, WAA12160ME/10, WAA14160PL/01, WAA14160PL/04, WAA16160BY/01, WAA16160BY/04, WAA16160IT/01, WAA16160IT/04, WAA16160ME/01, WAA16160ME/04, WAA16160OE/01, WAA16160OE/04, WAA16160PL/01, WAA16160PL/04, WAA18160BY/01, WAA18160BY/04, WAA16110EE/01, WAA16110EE/04, WAA16110EE/08, WAA16110EE/10, WAA12162II/25, WAA12162II/32, WAA12162II/33, WAA16163II/25, WAA16163II/32, WAA16163II/33, WAA20163II/25, WAA20163II/32, WAA20163II/33, WAA2026FPL/24, WAA2026FPL/32, WAA2026FPL/33, WAA2026KPL/01, WAA2026KPL/08, WAA2026KPL/09. All items in stock and available for same day dispatch. We have over 50 years experience of sourcing the highest quality items at the most competitive prices. 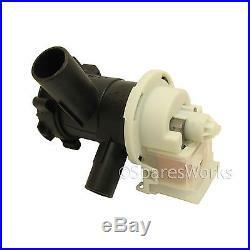 The item “BOSCH Replacement Washing Machine Washer Dryer Drain Pump Genuine” is in sale since Friday, February 21, 2014. This item is in the category “Home, Furniture & DIY\Appliances\Washing Machines & Dryers\Parts & Accessories”. The seller is “sparesworks_uk” and is located in Ellesmere Port. This item can be shipped worldwide.